American pop culture is near ubiquitous in middle class and wealthy India. For several decades India’s youth have been watching Hollywood movies and TV and listening to Western pop songs, all the while sporting blue jeans and gulping down pizzas and chasing them with Pepsi. These trends are more pronounced in urban areas and college towns, but the phenomenon is creeping across the countryside thanks to the dramatic rise in Internet penetration and available programming. Meanwhile, Indian musical styles have made minor headway Westward too. For a change, instead of Indians plagiarizing Hollywood and American records, we saw a Bollywood song playing in a major Hollywood film during the opening credits of the 2006 film, Inside Man starring Denzel Washington, Jodie Foster, Willem Defoe, and Clive Owen. 1990s megahit song, Chaiyya Chaiyya from the Bollywood movie Dil Se made its way across the oceans to be one of the few Indian songs to ever join the soundtracks of both a Bollywood hit and a Hollywood one. Indian culture has also popped up in things ranging from the interesting (Heineken’s 2011 “the date” TV ad featuring a golden oldie Hindi song, Jaan Pehechaan Ho) to the controversial (bindis for Madonna or Selena Gomez) to the bizarre (the Carmensita music video in 2007 featuring Natalie Portman in Indian garb essentially denigrating Hinduism). Even rarer, and in my opinion more impressive is when a major and successful American artist decides to enmesh Indian music into a Western style pop song. The Beatles revolutionized rock and roll in many ways, and one of them was to incorporate the Indian instruments, tabla and sitar into their songs during the flower-power 60’s. Ravi Shankar was of course an instrumental partner in this. More recently it was heavy metal bands such as Metallica (sitar) who would mix these unique instruments with the usual guitar, bass, and drum set. It could be a pop artist like Selena Gomez sampling an Indian singer with Come and Get it in 2013, or hip hop artists sampling Bollywood vocals and instrumentals. I would coin all of these as Indo-American fusion pop songs, and I like the stuff. It draws some of the entrancing qualities of Eastern music together with the raw power, creativity, and global appeal of Western. 5. BEWARE OF THE BOYS. Jay-Z & Panjabi MC, 2003. As the story goes, prolific rapper Jay-Z heard a version of a “bhangra” dance song by the British-Indian Panjabi MC while partying at a nightclub in Switzerland. Something clicked in J-Hova’s head, and he decided to reach out for a collaboration. Jay-Z then lay some catchy verses onto the song to make a convincing hip-hop/bhangra track that is eminently danceable and brings brown people to their feet worldwide at parties or weddings to this day. Interestingly enough, Panjabi’s bhangra song itself sampled the bass line from the theme of 1980s American TV show where David Hasselhoff used to talk to his sports car, Knight Rider. I mean, this is like an Indo-US fusion within an Indo-US fusion. The song also deserves credit for probably being the most successful and most played of all the tracks on this list. Without question, the most prominent artist on this list is Jay-Z. The song would rank higher except this is nowhere near Jay-Z’s finest lyrics or rapping. However, it definitely works. Check it out for yourself. 4. ADDICTIVE. Truth Hurts & Rakim, 2002. This is one hell of a track. It starts out with India’s favorite daughter for many decades, Latha Mangeshkar, singing on top of a luscious Indian background beat. Truth Hurts then comes on with her own rich, melodious R&B fare, which somehow works on top of the Indian classical sample. This is not always the case by any means- the pop genre is littered with poor attempts at it, several artists no doubt trying to replicate the success of Addictive. And failing. If that weren’t enough, the legendary DJ and singer Rakim comes in with his deep and confident voice to add another layer of flavor to this tasty Indo-US pie. 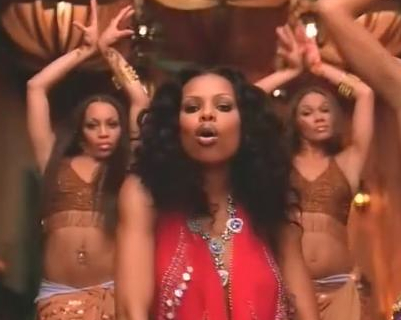 The video, besides being hot, manages to bring in both African-American and Indian dance styles, while producer Dr. Dre watches on. Try and avert your eyes. Just try. 3. WHEREVER I MAY ROAM. Metallica, 1991. Off of the self-titled chart busting album that is easily among the seminal rock albums of all time, Wherever I May Roam is indeed too hot and heavy for some people, but it starts out with a very slow, patient sitar riff. There is hardly an Indian influence to the song, more like a brief cameo as sitar gives way to guitar’s interpretation of it, but the transition is powerful. 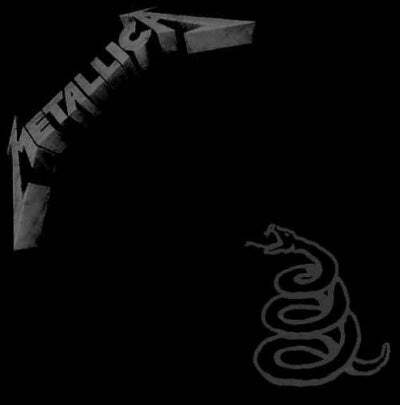 Metallica’s punishing style is not easy listening by any means, but there is perhaps no better example in history of juxtaposing a gentle, peaceful, and almost religious set of Indian sitar notes with all of the raw, animal power that American electric guitar can be. It only lasts for a few seconds, but whenever a Metallica fan sitting anywhere in the world hears the sitar at the start of this song, they shiver in anticipation of what is about to come next. For that reason the song is #3. 1. INDIAN FLUTE. Timbaland & Magoo, with Raje Shwari and Sebastian, 2003. Folks, this song wins by a landslide. Not only is it the best Indo-American pop song of all time, it’s one of the best POP songs of all time. It’s got it all. Simplicity is its winning trait. An exceedingly simple hip-hop beat, anchored by a haunting flute playing only a few notes over and over again in a distinctly Indian way. Female Hindi vocals that are mysterious and hit the high notes properly. Timbaland coming in for a little love duet action, somehow both fitting and humorously self-deprecating, at one point telling his Indian partner Raje Shwari, “But I can’t understand what you’re sayin’.” Magoo and Sebastian join in with a sheepish and cheesy attempt at rapping in English and Hindi with an ensemble cast of rappers and gyrating female dancers in the video. Watch the music video; it is pure sexual energy, drawing from its Indian and American lineages simultaneously. In effect, Indian Flute is the result of a love union between the two cultures, and highlights Indo-American possibilities like no other song. Posted on January 18, 2014, in Culture and tagged Addictive, Indian Flute, Indian-American, Indo-American, Jay-Z, Magoo, Metallica, Panjabi MC, Raje Shwari, Timbaland, Tool, US-India. Bookmark the permalink. 3 Comments.